A collection of my favorite workouts. I design them with optimal fat-burning, effectiveness and time in consideration- I like to keep things no-nonsense with the busy Fitnessista in mind. All workouts are free and always will be. For help on setting up a fitness plan, check out this post. Everything you need, including the full workout calendar, meal ideas and grocery list is here. What is your opinion in pilates rings? I have very stubborn inner thighs that I am not seeing a difference in. I recently lost 60 pounds and have very flabby upper thighs, so I was wondering if it would be worth it to buy a ring and incorporate it into my routine. I’m in the middle of Week 3 of WSU 2012 (I guess I never googled 2013 because it’s out there, just not on this page).. Anyway, I’m so excited about this next one. It coincides perfectly with the end of the one I’m doing. I just have a quick question because of my schedule. I work two 12-hour shifts every Sunday and Monday with a one hour total commute, so exercising on those days is pretty much out of the question. I’ve been doing five days in a row, three alternating days of HIIT (Tues, Thurs, Sat) and the other days (Wed, Fri) I’ve been doing cardio and/or yoga. Just took my first barre class today! Is this okay? Should I be doing more cardio? Am I putting myself at risk for injury by doing five day stretches? You think I’d know all of this being a nurse, but I swear this fitness world is its own unique animal. Any suggestions would be appreciated! Also, I’m sure you get this every single day, but your blog has literally changed my life. I am really impressed with all the positive, supportive comments. Gina what you are doing here is wonderful. Congrats on a wonderful site that is bringing happiness and health to a sizable population. I’m so glad I found your site. I love how you have everything in one place. It’s so convenient! Like you, I’m always looking for ways to make the most of a workout routine in a short amount of time. I love you list and will certainly check it out. I’ve been using Michael Blauner’s 12 minute routine currently. Hey Gina – love, love, love your blog!! I have a question for you about postpartum fitness. I have a 9 week old baby girl and started the long journey of getting back in shape a few weeks ago. I’m having some, ahem, bladder issues, especially when I do burpees/jumping jacks/jump squats or run. It’s annoying and embarrassing!! My doctor said the only real cure for this is time and/or surgery when I’m done having kids… any advice? Did you have any issues after Olivia? I just found you while looking for a review on Turbo Fire. You have a great site and I will check out more of it after I send this. Please add me to your newsletter. When you fist started loosing weight and getting in shape what were you doing for workouts and how long did it take you to build up the endurance you have now? Also, do you have any great IT band stretches? Thanks 🙂 I love your blog! Hello Gina. I’m really impressed with all your articles. You really inspire and motivate all your readers. I can’t wait to try the workout plans you posted. Thanks! I want to know more about your food/workout journal, and any tips you might have for someone starting up. I know you’ve blogged about it before, but I cant seem to find the posts. Gina. I found your site in a Top 14 Fitness Blog list. Congrats! 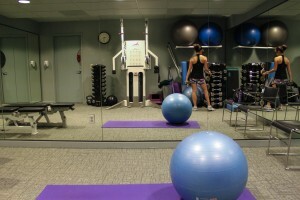 I’ve got a bunch of posts on personal training over at http://www.fitness-frog.com. If you’re ever interested in contributing I would love to have you as part of a featured post! Hi Gina. I found your site on Google with the search words “workout blog”. You were in the top 3. That’s awesome. I think our new product – Phone Wear 360 armband at http://www.phonewear360.com – would be a great fit with your audience. I’ve been working out ever since college and I’m almost 50 now and still working out. My partner and I came up with a great armband that let’s you use your phone while you wear it! It allows for your phone to have a 360 degree rotation to 8 positions on your arm plus a lock and release feature to take your phone on and off the armband as well. It’s the only way to listen to music during a work out, make sure you don’t miss a text, call, or e-mail. I’m so glad I found your blog! Very informative. My goal this year is to lose at least 50 pounds. Hey! You have written very nice blog. Thank you for giving so many tips. We are also providing tips and training to make your body healthy and fit. This is an amazing collection! Seems like I don’t have to look around the web for any more fitness tips. Really love it. My plan is to reduce 8 lbs in next 2 months. Wish me luck! Hi Gina! What a nice collection you have there! I’v noticed that you have an amazing feedback from your readers. Congratulations! Your collection is so helpful for me since I’m starting my personal program to be fit and to make my stomach flat again. I used to go to gym but stress just came to me and I start stress eating. So this coming year, motto would be “New Year, New ways to be healthy.”. I badly want to eliminate my back fat because it is so uncomfortable. I will definitely try these workouts. Thank you for creating this! I feel more inspired to be healthy and fit again. These are valuable to me. Cheers!